Step 4: Controlling your Light. Let’s get the basics of our sketch underway. 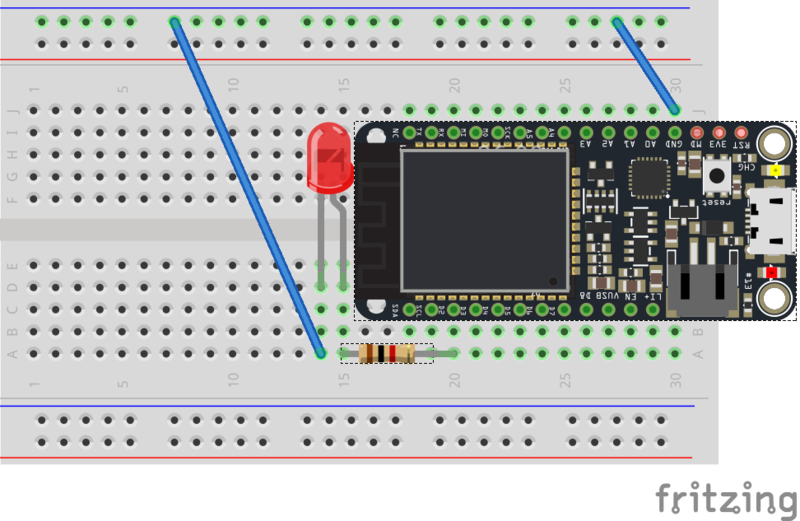 We’re going to have an LED controlled on pin D2, create a cloud function to set its brightness, and create a Cloud variable that will allow us to request the current brightness of the LED. We’re going to use D2 again, so set up a variable that maps to that pin at the top of your sketch. Now, let’s specific the basics of our sketch. We need to configure pin D2 as output. We’ll also want to create a Particle function to set the brightness remotely over the internet and a variable so we can find out what the brightness might be set to. In this case, all of the heavy lifting is going to be handled by an internet connected function. We don’t need the Particle device to do anything during the loop so we leave this totally blank. We expect that the function will be sent a number to set the brightness. We start by converting the string into an integer using the toInt() method. We have seen that variables have a type. We’ve already encountered strings (or text) and integers (int). Variables are strict about what type of information can be stored in them. ints will only store whole numbers. Strings will only store text. Sometimes we need a way to move information across types. Thankfully there are some helpful methods for doing just this. toInt is a method or function available on variables of type ‘String’. If the string is a number it will return that number otherwise it will return 0. Next, we know that our microcontroller can set a brightness from zero to 255, so it must be in this range. We have some logic (if statements) to see if it the number is less than zero or if it is more than 255. If it is, we stop doing anything more by returning out of the function. Finally, we use the analogWrite function to set the brightness of the LED using pulse width modulation and return an integer with the value of 1 to indicate everything was completed and a new brightness value was set. Remember that analogWrite allows us to control the PWM to a specific PIN. It only works on certain pins too. It takes a value from 0-255 (256 increments). There’s three ways to control your light. The easy way is through Particle Dev, and then you can make a RESTful API call. We’ll do both. You should see a text box beside your function named led. Just type a number into the box. The box marked ‘Result’ beside the == sign will show a spinning indicator for a second and then your light should respond as expected. Now let’s put this into practice with some additional exercises where you can do to begin building your skills. Modify the cloud function to take a new LED value; wait 1 second and then fade down to zero/off. Set the second LED to work as the opposite amount of brightness to the first. For example if the first is set at 55, the second should be set at 200.